In 1865 Charles Reug, a watchmaker, settled in the small town Sainte-Croix and he began to create pocket musical watches and boxes. Very soon he with his son opened their own first work-shop and began to produce of music movements which got the name REUGE. Now the main office of the brand is located by this historical address. In the beginning of the 20th century the production was interrupted but, however, already in 1960 his successors, Albert and Guido decided to revive the creating of the high quality musical movements. In 1988 the company REUGE was bought by a group of Swiss investors that gave to the company a good opportunity for further growth and for expanding the production. Basically the company is linked with the manufacturing of the musical boxes, which are rightfully the best in the world. 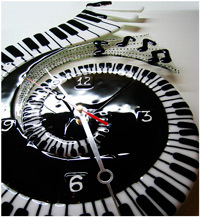 However, the company makes the musical pocket watches by using the same mechanisms for creating the music boxes. All products of this brand are manufactured by hand, that gives them the high quality and exclusivity, but also makes them also collectible, passed down from generation to generation. They can truly be called the works of art. At the Geneva watch show in 2011the company presented very original watches, there was a very interesting and beautiful scene on the dial: a horseman is bringing the bird to the girl at the fountain. At the appointed time the music begins to play, and an animated scene comes to life. The watches are wound with the key in the shape of a lyre. All models of the pocket watches of this brand are truly exclusive. Today, the company REUGE MUSIC, which left unchanged the principle of the musical movement, and uses the new manufacturing technologies, creates the great music boxes and musical pocket watches, which are considered as the best in the world.